Prepare waffle fries according to package directions for baking. Meanwhile, in a small bowl, beat cream cheese, 1 cup fontina cheese, salad dressing, onion and horseradish until blended. Remove fries from oven; reduce oven setting to 400°. 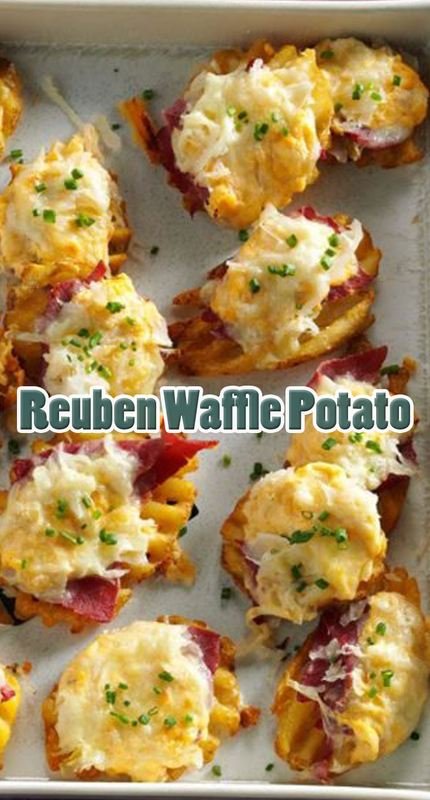 Top each waffle fry with about 1/4 ounce corned beef and 1 teaspoon each cream cheese mixture, sauerkraut and remaining fontina cheese. Bake until cheese is melted, 8-10 minutes. Sprinkle with chives.